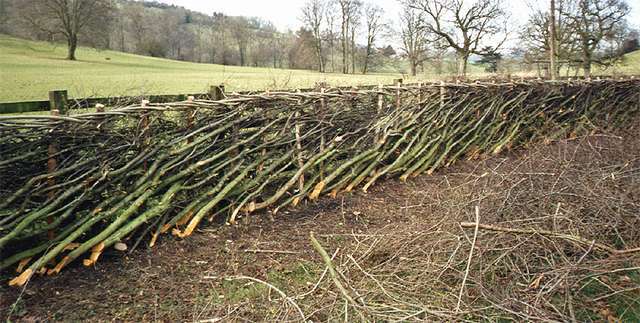 Hedgelaying (plashing or pleaching) is a traditional method of hedgerow management to make a living stockproof barrier against sheep and cattle. 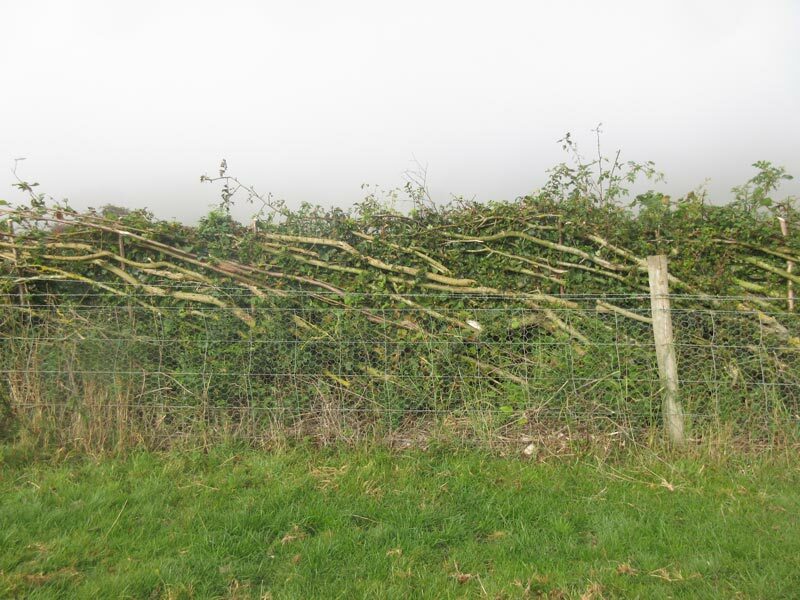 Undertaken during winter when the sap is down, the hedgerow is first trimmed back. 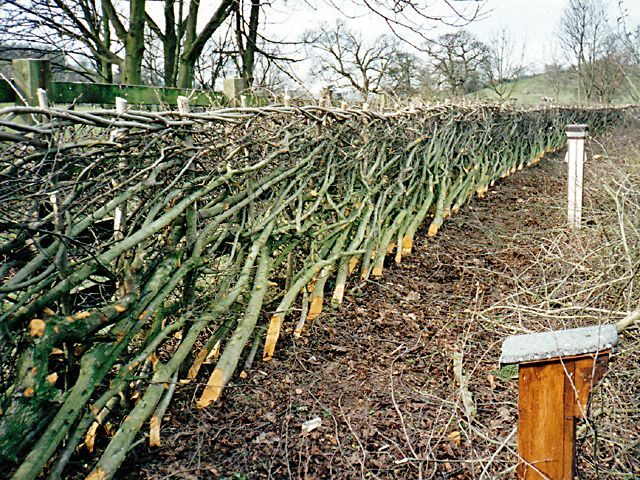 Next, each bush is partially cut through at the base. 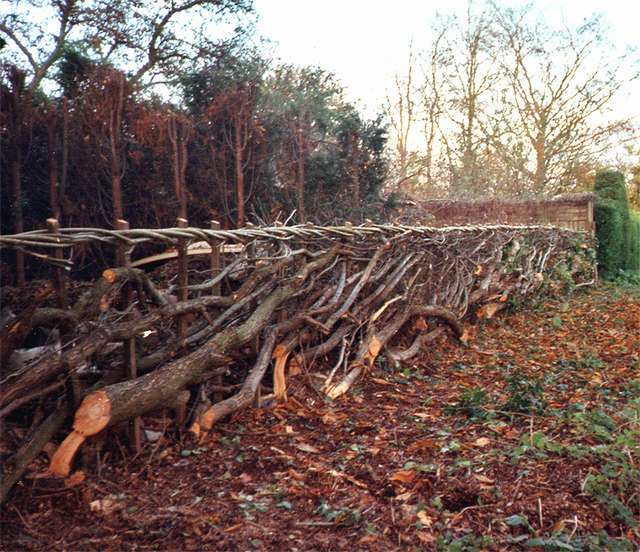 This allows the stem (pleacher) to be bent over, whilst still attached, and supported by stakes hammered into the ground. 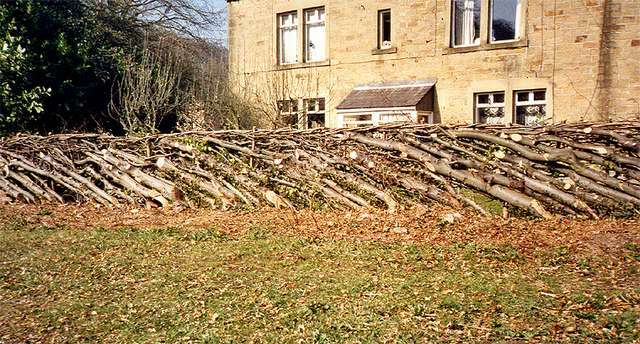 This process is repeated making a dense barrier about 4 feet high which, because each stem is still attached, springs into leaf come April. 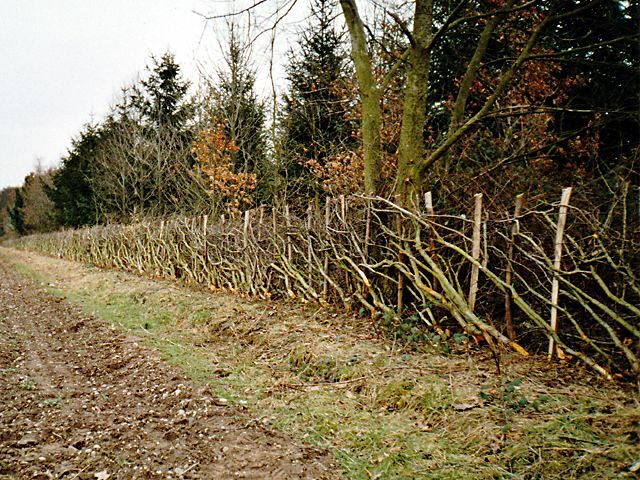 Hedgelaying has traditional regional styles. 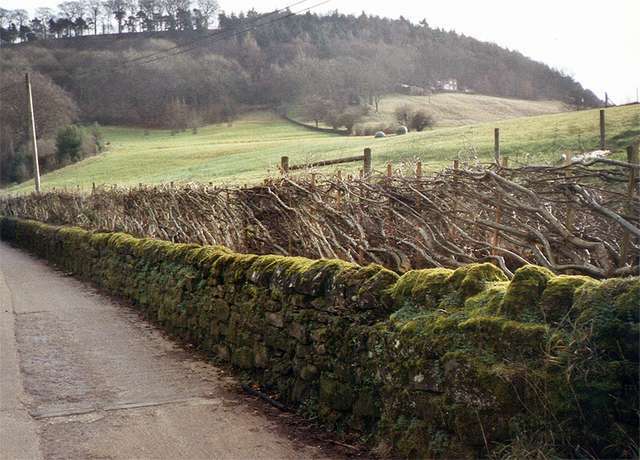 We lay Derbyshire and Staffordshire; Nottinghamshire and Midlands styles which have binders on top. 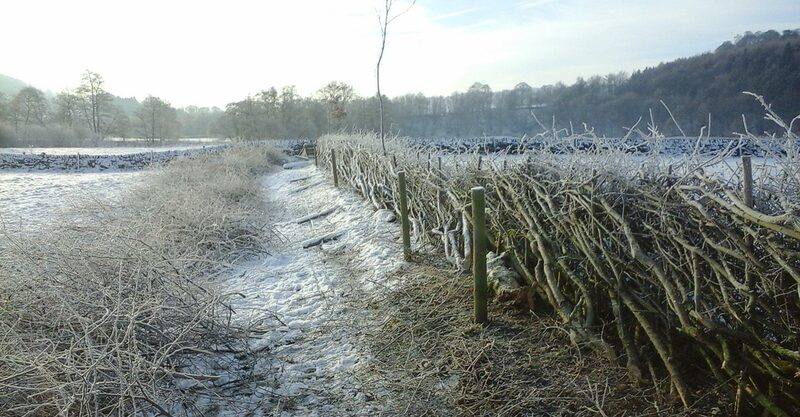 Derbyshire, Nottinghamshire, South Yorkshire, North Staffordshire and East Cheshire. 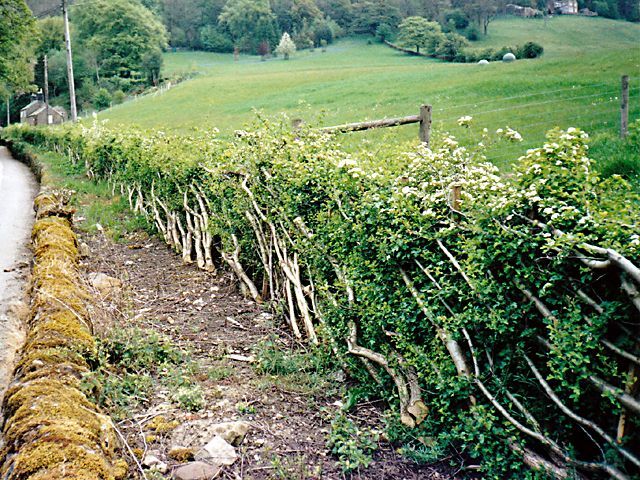 The only way to price a hedge for laying is to see it. 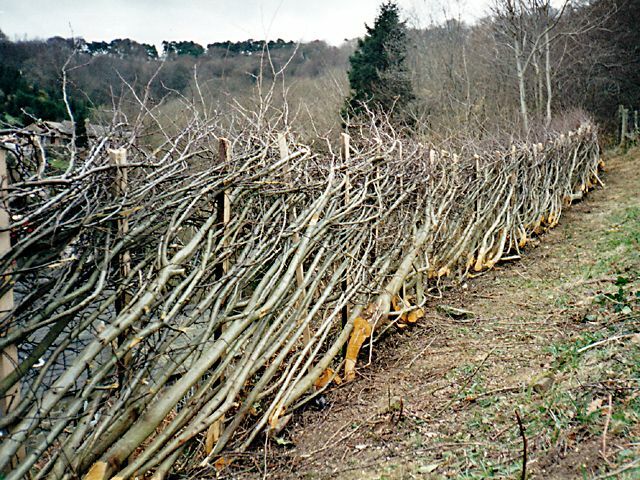 Each hedge differs widely and prices can vary from £10.00 to £30.00 a metre including VAT. 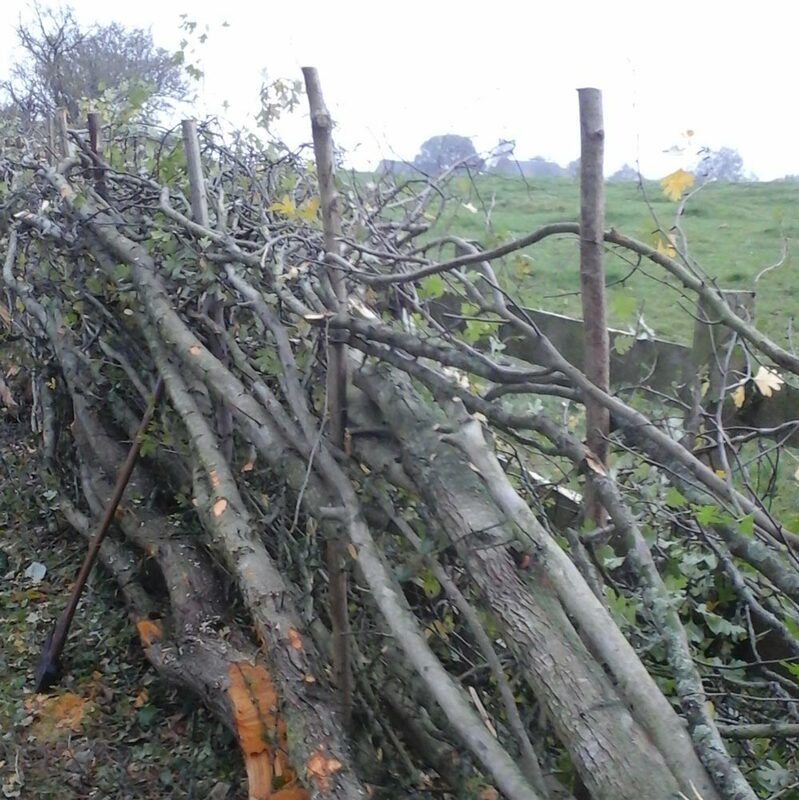 Please phone for me to give a rough estimate of cost or to arrange a site visit. However, it is sometimes possible to give an estimate of cost if you are able to email some photos prior to a site visit.